As one of my main specialisms, I pride myself on being able to explain even the most complicated medical issues in an easy-to-understand manner, helping readers get to grips with key health concerns. I was previously editor of Health Today magazine and have written health news, features and blog posts, many on a regular basis, for a wide range of publications, including Bupa, Lifeplus Formula, Channel 4, Digitas LBi, Your IVF Journey, Boots, Discovery Health, Slimming World magazine, Shell, First magazine, NetDoctor, AXA PPP Healthcare, Kelloggs Special K, iCircle, Handbag.com, Allergy magazine, Norwich Union magazine, Lighter Life magazine, Inspiration (Cambridge Diet Plan magazine), Trio Media, With Kids magazine, Vision magazine, Sunrise magazine, Setform, Care magazine, PTA magazine, Health Media Ltd / HMG Worldwide, Global News Services and Families First for Health. 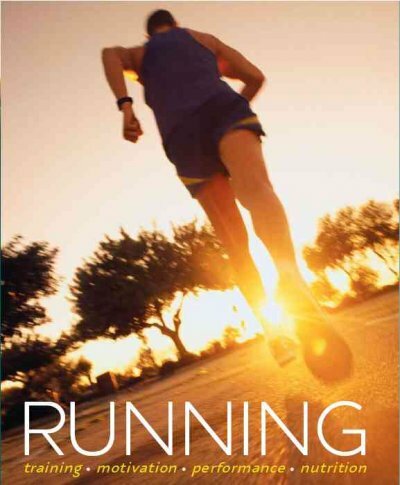 My health-related books include Running (Parragon, 2008) and Skin Cancer and Sun Safety: The Essential Guide (Need2Know, 2010). 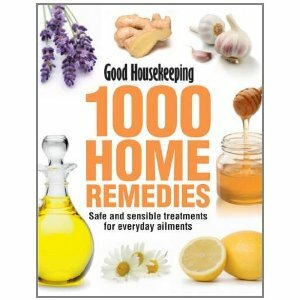 I’ve also written contributions for Good Housekeeping 1000 Home Remedies. Would you know what to do if someone had a heart attack? 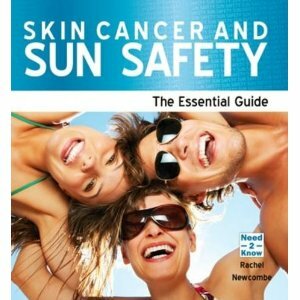 The safety of sunbeds has been a point of concern for some time, as it is thought that regular use is linked to an increased risk of skin cancer. In a bid to help protect public health, The Chartered Institute of Environmental Health (CIEH) has called on local authority leisure centres to ban their use on their premises. But how dangerous are sunbeds and could banning them really offer protection? The Atkins diet, which is based on consuming high levels of protein and low levels of carbohydrate, has become a popular weight-loss approach among celebrities and the public. Two studies have been publicised as supporting the diet and confirming the weight-loss ability. But is this really the case? Are there still safety issues and is the diet a suitable approach for long-term weight loss? Eating is a natural part of life, but according to some researchers, some types of food eaten – namely sugary and fatty foods – may act like a drug and be addictive. With obesity rising and junk food ever present, is it really possible that some people may be addicted to food? Does TV Watching Harm Health? The incidence of obesity is rising in the UK, causing concern among experts and increasing the risk of serious disease for individuals. Relaxing in front of the television is a favourite pastime for many but, according to researchers it is not helpful to health. A study showed that regularly watching two hours of TV a day increased the risk of becoming obese by 23 per cent and the risk of developing diabetes by 14 per cent. So, should we switch off the TV completely or are there other ways of reducing the risks? Do You Understand Your Medicines? Most of us take medicines at some point in our lives, whether for a one-off illness or a long-term condition. Many of the medicines available today are powerful drugs developed through years of research and are designed to be used in specific ways to achieve maximum effects. All medicines used in the UK have passed rigorous tests, but they can still be harmful, or ineffective, if used in the wrong way. Could There Be a Breast Cancer Virus? Breast cancer is the most common form of cancer to affect women, with one in four of all cancers occurring in the breast and more than 40,000 women diagnosed each year in the UK. The causes of breast cancer are being researched and, according to a theory from scientists in Australia, one possible cause could be a virus. Is Red Wine the Key to Long Life? According to the World Health Organisation, there were 600 million people aged 60 years or more in the year 2000, and by 2025 it is estimated that there will be 1.2 billion. Coping with impending old age is a natural part of the progression of life, but scientists in America hope that they could increase longevity and limit the effect of age-related illnesses through a simple pill that contains molecules found in red wine. But what has been discovered so far and how far away is any potential pill? Health articles and tips for Shell’s Be Well global employee health promotion programme, running on their Intranet. Working with Trio Media, I wrote the website copy for the Uganda Women’s Health Initiative website. Features for the Channel 4 website, often as tie-ins for TV programmes. I’ve also been involved in updating the content on the health section and editing and re-writing features. Medical care is great when it all goes well, and most of the time it does just that. But there are occasions when people don’t get on with their doctors, aren’t happy with the treatment they’re given or want to make a complaint. So, if things don’t go to plan and you’re left feeling less than satisfied with the care you’ve received, what can you do? The chances are that you’ll know someone who’s on or has tried the Atkins Diet. That’s not surprising, as over three million people in Britain, along with countless celebrities, are on the high-protein, low-carbohydrate eating plan. But despite seemingly helping people to lose weight, it’s become one of the most controversial diets of recent years. It’s easy to be complacent about weight and long-term health issues, especially when you’re young, carefree and only living for tomorrow, but recent statistics provide a harsh wake-up call for teens and children. The mere thought of a tumour can strike fear in our minds, but not all tumours necessarily mean cancer. Many people experience benign tumours, such as moles, during their lifetime, but for those with the condition neurofibromatosis (Nf), the likelihood of tumours suddenly appearing is much higher. What’s more, in a few Nf cases tumour growth is rapid, resulting in added worry and complications. When it comes to healthy eating, can you tell the good fats from the bad? The sugar-laden snacks from the low-calories options? Try our quiz and find out if you’re on the road to fitness or if your body is crying out for better treatment. We all get occasional aches and pains, but for nearly 10 million people in the UK pain is a key part of their life every day. Health content for various issues of the BPHA’s quarterly Progress magazine, covering health, healthy eating and exercise topics (with Trio Media). Following a restricted diet for medical reasons needn’t mean your weight problem is stuck in a rut: Food Optimising can help you eat well and lose weight too. Good news: a fat-free diet isn’t the way to lose weight! But which fats are beneficial for health and which are best left on the shelf? Foods that claim to lower cholesterol or boost circulation are promoted as an easy way to better health – but do they work, and are they worth spending money and Syns on? Does your healthy eating routine usually break down when the children break up? This year, why not try a few fresh ideas to ensure the whole family enjoys the school holidays – including you! The thought of buying a new slim figure over the counter, thanks to a bottle of pills, is almost unbearably tempting – which is why so many slimmers splash out on them. But are they worth the money or a waste of space? For sufferers, body dysmorphic disorder can mean a debilitating degree of anguish about the way they look – and even a greatly increased risk of suicide. It’s a sobering fact that more people worldwide are overweight than starving. Obesity brings with it the increased risk of serious health conditions that could put our lives in danger. We examine the impact on the world’s healthy of the increase in overweight and obese people. Living with a food allergy or intolerance can be immensely frustrating, uncomfortable and in the worst case, life-threatening. This article looks at the difference between the two and offers advice on how to manage them. Are You Just a Teenage Scratch Bag? It’s pretty normal to worry about your skin – but people with eczema worry more than normal. What with itching, blisters, flaking skin and swelling, the condition can make life seem unbearable. Sexual Problems: All in The Mind? 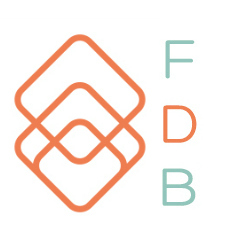 Female sexual dysfunction (FSD) is thought to affect around 43 per cent of women, yet a recent report suggests it could be a figment of the drug industry’s imagination. Are these concerns justified, or is it a real condition? Women experience an average of 400 periods during their lifetime, but what’s a ‘normal’ period really like, and when could there be signs of gynaecological problems? The parents of two teenagers with variant CJD (vCJD) recently won a controversial High Court battle to allow their children to have an experimental form of treatment. So, does this signify hope of a new therapy, will it cure the disease and what do the experts say? Most of us don’t give our ears a second thought. But some people who are born with more prominent ‘sticking out’ ears can suffer years of abuse and torment, and experience low self-esteem. So what help is available – and do the treatments really work? Stress is one of the leading causes of illness among workers, and it’s not made any better by being stuck in an office during the rising summer heat. But if you’re under pressure, don’t panic! Simple de-stressing techniques and changes to your working environment can provide all the help you need. One of the fastest growing leisure pursuits in the UK, and a hot favourite among men, is do-it-yourself, or DIY. Decorating, mending, painting and fixing cars all provide hours of entertainment to the enthusiast – but can also be hazardous. ‘Tis The Season To Overindulge? With the Christmas party season in full swing, the likelihood of overindulgence is rising. But if you want to avoid any nasty after-effects, or treat the ones you’ve got, what are the best solutions? Teaching your child to be responsible for their health is tricky – but when it comes to allergies, it can be a matter of life or death. We look at the top six solutions to help your little ones take responsibility for their health. Allergies can be difficult to deal with at the best of times, but imagine being ill and in need of treatment, yet being allergic to the medication that could cure you. Leaving home and starting a new life at university is an exciting time, offering plenty of new experiences. But for those with allergies, how easy is it to cope? Health Today – I was editor of Health Today, a bi-monthly magazine for independent health stores, until January 2003. It was produced for Tree of Life wholesalers (previously Nature’s Store), but has now ceased publication. NetDoctor – Various ghostwritten articles for the ADHD microsite. iCircle – Daily health news articles (seven days a week), plus health articles, for the health channel of the now defunct women’s website which was run by Freeserve/Wanadoo. Handbag.com – I’ve written various health, travel and other articles for the women’s website over the years. I previously worked in conjunction with Cybergrrl.com, a New York-based women’s website, providing a range of health and lifestyle content during the pre-launch stage and first year of Handbag.com (circa 2000-ish!). Boots – Copywriting for their suncare guide. Kelloggs Special K – Copywriting for the 28-Day Body Fat Challenge (Shape Management section) and for the Special K Kutopia website. Dial – Lifestyle and nutrition columns for Dial, the Expotel travel magazine, between 2004 and 2007. Setform – Various informative health wallcharts for Setform Ltd, including, Health and Serenity: The Natural Way (in association with the Institute of Complementary Medicine), The Health and Development of Your Baby and A Guide to Pre-School Care. Health Media Ltd / HMG Worldwide – Bi-weekly regular health news articles focusing on alternative health, plus various consumer health features. Global News Services – Consumer health news and features.